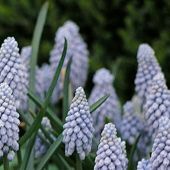 Extremely winter hardy and so very easy to grow, no garden should be without Muscari. 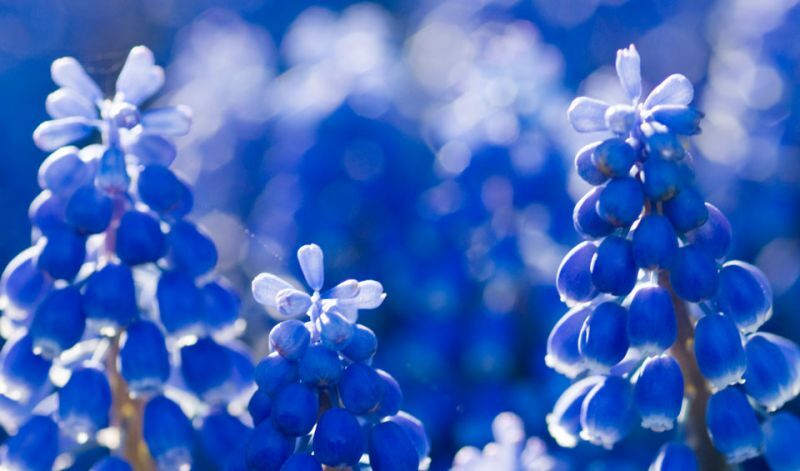 At Keukenhof gardens in Holland, a dense planting of them winds through shrubs & trees and this 'blue river' is one of the most photographed scenes in the spectacular park. 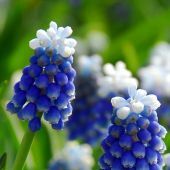 Muscari planted where no water can settle during the winter can naturalize easily. 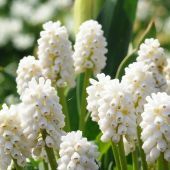 Although the leaves often emerge before the Winter season and are damaged by frost, the flowers themselves are untouched. 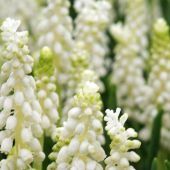 Muscari also make perfect container plantings; given their height make sure to put them in front of taller growing bulbs at the edge of the pots. 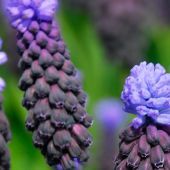 Grape Hyacinths show off very well when planted among perennials and also under deciduous shrubs, which are still bare during muscari's flowering period. 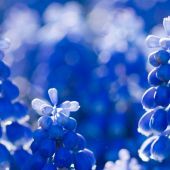 Most of all, they're an outstanding border plant and display beautifully in borders of various colors, those that are color co-ordinated and blue borders in particular. 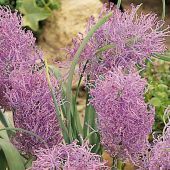 Always plant at least 15-25 bulbs in a group for a pleasing visual effect and plant them closely together for a massive color effect. 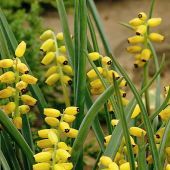 Combined with late-flowering yellow narcissi (daffodils) and red tulips, they make for a very pretty bedding arrangement.